Co-operative Movement in Kenya | It always seems impossible until its done. Nelson Mandela. Equality is the theme of the 2015 International Day of Co-operatives!! Bad for the economy – Inequality also slows GDP growth. It hinders human capital accumulation, hurts educational outcomes and long-term economic prospects for those on the lower end of the income ladder. Bad for our infrastructure – When excluded, people cannot participate in the institutions that build a society. Examples of this are medical capacity building, industry requiring schooled craftsmen, or credit and insurance. Bad for our safety – The social impacts of inequality include unemployment, violence, crime, humiliation, and deterioration of human capital and social exclusion. Inequality negatively affects democratic participation, it fosters corruption and civil conflict. Bad for democracy – Politically, inequality erodes the fairness of institutions. Inequality exacerbates the problem of holding governments accountable. Where social institutions are already fragile, inequality further discourages the civic and social life that underpins effective collective decision-making which is necessary for the functioning of healthy societies. All owners – By widening ownership, co-operatives are a proven force for economic and social inclusion. If the co-operative model continues to grow, inequality will be reduced. Open to all – Because a coop is open to all, anybody, man or woman, old or young can enter. Decision power not dependent on wealth – Because a coop has 1 vote regardless of the capital, all have equal decision power. Equality means also equal access to goods – The UN have recognized as a critical strategy, at the national level, that of ensuring universal access to good-quality, basic goods and services, the very purpose of a co-operative. 12. BARATON UNIVERSITY SACCO SOCIETY LTD P.O BOX 2500-30100, ELDORET. 13. BIASHARA SACCO SOCIETY LTD P.O BOX 1895-10100, NYERI. 14. BINGWA SACCO SOCIETY LTD P.O BOX 434-10300, KERUGOYA. 16. BUSIA TESO TEACHERS SACCO SOCIETY LTD P.O BOX 448-50400, BUSIA. 19. CHAI SACCO SOCIETY LTD P.O BOX 278-00200, NAIROBI. 20. CHUNA SACCO SOCIETY LTD P.O BOX 30197-00100, NAIROBI. 21. COMOCO SACCO SOCIETY LTD P.O BOX 30135-00100, NAIROBI. 22. COSMOPOLITAN SACCO SOCIETY LTD P.O BOX 1931-20100, NAKURU. 23. COUNTY SACCO SOCIETY LTD P.O BOX 21-60103, RUNYENJES. 25. DHABITI SACCO SOCIETY LTD P.O BOX 353-60600, MAUA. 26. DIMKES SACCO SOCIETY LTD P.O BOX 886-00900, KIAMBU. 27. DUMISHA SACCO SOCIETY LTD P.O BOX 84-200600, MARALAL. 28. ECO-PILLAR SACCO SOCIETY LTD (formerly Kapenguria Teachers Sacco) P.O BOX 48-30600, KAPENGURIA. 29. EGERTON UNIVERSITY SACCO SOCIETY LTD P.O BOX 178-20115, EGERTON. 30. ELGON TEACHERS SACCO SOCIETY LTD P.O BOX 27-50203, KAPSOKWONY. 31. ELIMU SACCO SOCIETY LTD P.O BOX 10073-00100, NAIROBI. 32. ENEA SACCO SOCIETY LTD P.O BOX 1836-10101, KARATINA. 33. FARIJI SACCO SOCIETY LTD P.O BOX 589-00216, GITHUNGURI. 34. FORTUNE SACCO SOCIETY LTD P.O BOX 559-10300, KERUGOYA. 35. FUNDILIMA SACCO SOCIETY LTD P.O BOX 62000-00200, NAIROBI. 36. GASTAMECO SACCO SOCIETY LTD P.O BOX 189-60101, MANYATTA. 37. GITHUNGURI DAIRY & COMMUNITY SACCO SOCIETY LTD P.O BOX 896-00216, GITHUNGURI. 38. GOODFAITH SACCO SOCIETY LTD P.O BOX 224-00222, UPLANDS. 40. GUSII MWALIMU SACCO SOCIETY LTD P.O BOX 1335-40200, KISII. 41. HARAMBEE SACCO SOCIETY LTD P.O BOX 47815-00100, NAIROBI. 42. HAZINA SACCO SOCIETY LTD P.O BOX 59877-00200, NAIROBI. 44. IMARIKA SACCO SOCIETY LTD P.O BOX 712-80108, KILIFI. 45. IMARISHA SACCO SOCIETY LTD P.O BOX 682-20200, KERICHO. 46. IMENTI SACCO SOCIETY LTD P.O BOX 3192-60200, MERU. 48. JACARANDA SACCO SOCIETY LTD P.O BOX 4-00232, RUIRU. 49. JAMII SACCO SOCIETY LTD P.O BOX 57929-00200, NAIROBI. 50. JIJENGE SACCO SOCIETY LTD P.O BOX 6222-01000, THIKA. 52. JUMUIKA SACCO (Formerly Chemelil Sacco Society Ltd ) P.O BOX 14-40112, AWASI. 53. KAIMOSI SACCO SOCIETY LTD P.O BOX 153-50305, SIRWA. 54. KAKAMEGA TEACHERS SACCO SOCIETY LTD P.O BOX 1150-50100, KAKAMEGA. 55. KATHERA RURAL SACCO SOCIETY LTD P.O BOX 251-60202, NKUBU. 56. KEIYO TEACHERS SACCO SOCIETY LTD P.O BOX 512-30700, ITEN. 57. KENPIPE SACCO SOCIETY LTD P.O BOX 314-00507, NAIROBI. 58. KENVERSITY SACCO SOCIETY LTD P.O BOX 10263-00100, NAIROBI. 60. KENYA BANKERS SACCO SOCIETY LTD P.O BOX 73236-00200, NAIROBI. 61. KENYA CANNERS SACCO SOCIETY LTD P.O BOX 1124-01000, THIKA. 62. KENYA HIGHLANDS SACCO SOCIETY LTD P.O BOX 2085-002000, KERICHO. 63. KENYA MIDLAND SACCO SOCIETY LTD P.O BOX 287-20400, BOMET. 65. KIAMBAA DAIRY RURAL SACCO SOCIETY LTD P.O BOX 669-00219, KARURI. 67. KINGDOM SACCO SOCIETY LTD P.O BOX 8017-00300, NAIROBI. 68. KIPSIGIS EDIS SACCO SOCIETY LTD P.O BOX 228-20400, BOMET. 69. KITE SACCO SOCIETY LTD P.O BOX 2073-40100, KISUMU. 70. KITUI TEACHERS SACCO SOCIETY LTD P.O BOX 254-90200, KITUI. 71. KMFRI SACCO SOCIETY LTD P.O BOX 80862 80100, MOMBASA. 73. KONOIN SACCO SOCIETY LTD P.O BOX 83-20403, MOGOGOSIEK. 74. KORU SACCO SOCIETY LTD P.O BOX Private Bag- 40104, KORU. 75. K-UNITY SACCO SOCIETY LTD P.O BOX 268-00900, KIAMBU. 76. KWALE TEACHERS SACCO SOCIETY LTD P.O BOX 123-80403, KWALE. 77. LAMU TEACHERS SACCO SOCIETY LTD P.O BOX 110-80100, LAMU. 79. MAGADI SACCO SOCIETY LTD P.O BOX 13-00205, MAGADI. 80. MAGEREZA SACCO SOCIETY LTD P.O BOX 53131-00200, NAIROBI. 81. MAISHA BORA SACCO SOCIETY LTD P.O BOX 30062-00100, NAIROBI. 82. MAONO DAIMA SACCO SOCIETY LTD (formerly Mulot FSA Sacco) P.O BOX 41-20424, BOMET. 83. MARAKWET TEACHERS SACCO SOCIETY LTD P.O BOX 118-30705, KAPSOWAR. 84. MARSABIT TEACHERS SACCO SOCIETY LTD P.O BOX 90-60500, MARSABIT. 85. KWETU SACCO (Formerly Masaku Teachers Sacco P.O BOX 818-90100, MACHAKOS. IETY LTD P.O BOX 789-10200, MURANG’A. 87. METROPOLITAN SACCO SOCIETY LTD P.O BOX 871-00900, KIAMBU. 88. MILIKI SACCO SOCIETY LTD (formerly Orthodox Sacco) P.O BOX 43582-00100, NAIROBI. 89. MMH SACCO SOCIETY LTD P.O BOX 469-60600, MAUA. 90. MOI UNIVERSITY SACCO SOCIETY LTD P.O BOX 23-30107, MOI UNIVERSITY. 91. MOMBASA PORT SACCO SOCIETY LTD P.O BOX 95372-80104, MOMBASA. 92. MOMBASA TEACHERS SACCO SOCIETY LTD P.O BOX 86515-80100, MOMBASA. 93. MUDETE FACTORY TEA GROWERS SACCO SOCIETY LTD P.O BOX 221-50104, KAKAMEGA. 94. MUHIGIA SACCO SOCIETY LTD P.O BOX 83-10300, KERUGOYA. 95. MUKI SACCO SOCIETY LTD P.O BOX 398, NORTH KINANGOP. 97. MWALIMU NATIONAL SACCO SOCIETY LTD P.O BOX 62641-00200, NAIROBI. 98. MWEA RICE FARMERS SACCO SOCIETY LTD P.O BOX 272-10303. WANGURU. 99. MWIETHERI SACCO SOCIETY LTD P.O BOX 2445-60100, EMBU. 100. MWINGI MWALIMU SACCO SOCIETY LTD P.O BOX 489-90400, MWINGI. 102. NACICO SACCO SOCIETY LTD P.O BOX 34525-00100, NAIROBI. 103. NAFAKA SACCO SOCIETY LTD P.O BOX 30586-00100, NAIROBI. 104. NAKU SACCO SOCIETY LTD P.O BOX 78355-00507, NAIROBI. 105. NANDI FARMERS SACCO SOCIETY LTD P.O BOX 333-30301, NANDI HILLS. 106. NANDI HEKIMA SACCO SOCIETY LTD P.O BOX 211-30300, KAPSABET. 107. NANDI TEACHERS SACCO SOCIETY LTD P.O BOX 547-30300, KAPSABET. 108. NECCO SACCO (Formerly Nanyuki Equator Sacco Society) P.O BOX 1098-10400, NANYUKI. 109. NAROK TEACHERS SACCO SOCIETY LTD P.O BOX 158-20500, NAROK. 110. NASSEFU SACCO SOCIETY LTD P.O BOX 43338-00100, NAIROBI. 111. NATION SACCO SOCIET Y LTD P.O BOX 22022-00400, NAIROBI. 112. NAWIRI SACCO SOCIETY LTD P.O BOX 400-60100, EMBU. 113. NDEGE CHAI SACCO SOCIETY LTD P.O BOX 857-20200, KERICHO. 115. NEST SACCO SOCIETY LTD P.O BOX 14551-00800, NAIROBI. 116. NG’ARISHA SACCO SOCIETY LTD (formerly Bungoma Teachers Sacco) P.O BOX 1199-50200, BUNGOMA. 117. NITUNZE SACCO SOCIETY P.O BOX 295-50102, MUMIAS. 118. NRS SACCO SOCIETY LTD P.O BOX 575-00902, KIKUYU. 119. NTIMINYAKIRU SACCO SOIETY LTD P.O BOX 3213-60200, MERU. 120. NUFAIKA SACCO SOCIETY LTD P.O BOX 735-10300, KERUGOYA. 121. NYAHURURU UMOJA SACCO SOCIETY LTD P.O BOX 2183-20300, NYAHURURU. 122. NYALA VISION SACCO SOCIETY LTD P.O BOX 27-20306, NDARAGWA. 123. NYAMBENE ARIMI SACCO SOCIETY LTD P.O BOX 493-60600, MAUA. 124. NYAMIRA TEA FARMERS SACCO SOCIETY LTD P.O BOX 633-40500, NYAMIRA. 125. NYERI TEACHERS SACCO SOCIETY LTD P.O BOX 1939-10100, NYERI. 126. OGEMBO TEA GROWERS SACCO SOCIETY LTD P.O BOX 88, KENYENYA. 127. ORIENT SACCO SOCIETY LTD P.O BOX 1842-01000, THIKA. 129. PUAN SACCO SOCIETY LTD P.O BOX 404-20500, NAROK. 130. RACHUONYO TEACHERS SACCO SOCIETY LTD P.O BOX 14-4022, KOSELE. 131. SAFARICOM SACCO SOCIETY LTD P.O BOX 66827-00800, NAIROBI. 132. SHERIA SACCO SOCIETY LTD P.O BOX 34390-00100, NAIROBI. 133. SIMBA CHAI SACCO SOCIETY LTD P.O BOX 977-20200, KERICHO. 134. SIRAJI SACCO SOCIETY LTD P.O BOX PRIVATE BAG, TIMAU. 135. SKYLINE SACCO SOCIETY LTD (formerly Baringo Farmers Sacco) P.O BOX 660-20103, ELDAMA RAVINE. 136. SMART CHAMPIONS SACCO SOCIETY LTD (formerly Githongo Majani Sacco) P.O BOX 64-60205, GITHONGO. 137. SOLUTION SACCO SOCIETY LTD P.O BOX 1694-60200, MERU. 138. SOTICO SACCO SOCIETY LTD P.O BOX 959-20406, SOTIK. 139. SOUTHERN STAR SACCO SOCIETY LTD (Formerly Meru South Sacco) P.O BOX 514-60400, CHUKA. 140. STAKE KENYA SACCO SOCIETY LTD.(formerly Kuria Teachers Sacco) P.O BOX 208-40413, KEHANCHA. 141. STEGRO SACCO SOCIETY LTD (formerly Sot Tea Growers Sacco) P.O BOX 251-20400, BOMET. 142. STIMA SACCO SOCIETY LTD P.O BOX 75629-00100, NAIROBI. 143. SUBA TEACHERS SACCO SOCIETY LTD P.O BOX 237-40305, MBITA. 144. SUKARI SACCO SOCIETY LTD. P.O BOX 841-50102, MUMIAS. 145. SUPA SACCO SOCIETY LTD (Formerly Samburu Traders Sacco) P.O BOX 271-20600, MARALAL. 146. TAI SACCO SOCIETY LTD P.O BOX 718-00216, GITHUNGURI. 147. TAIFA SACCO SOCIETY LTD P.O BOX 1649-10100, NYERI. 148. TAITA TAVETA TEACHERS SACCO SOCIETY LTD P.O BOX 1186-80304, WUNDANYI. 149. TARAJI SACCO SOCIETY LTD P.O BOX 605-40600, SIAYA. 150. TELEPOST SACCO SOCIETY LTD P.O BOX 49557-00100, NAIROBI. 151. TEMBO SACCO SOCIETTY LTD P.O BOX 91-00618, RUARAKA. 152. TENHOS SACCO SOCIETY LTD P.O BOX 391-20400, BOMET. 153. TESCOM SACCO SOCIETY LTD P.O BOX 626-10300, KERUGOYA. 154. THAMANI SACCO SOCIETY LTD P.O BOX 467-60400, CHUKA. 155. TIMES- U SACCO SOCIETY LTD P.O BOX 310-60202, NKUBU. 156. TOWER SACCO SOCIETY LTD P.O BOX 259-20303, OL’KALOU. 157. TRANS NATION SACCO SOCIETY LTD (formerly Tharaka Nithi Teachers) P.O BOX 15-60400, CHUKA. 158. TRANSCOM SACCO SOCIETY LTD P.O BOX 19579-00202, NAIROBI. 159. TRANS-COUNTIES SACCO SOCIETY LTD P.O BOX 2965-30200, KITALE. 160. TRANS-NATIONAL TIMES SACCO SOCIETY LTD (formerly Trans-Nzoia Teachers Sacco) P. O BOX 2274-30200, KITALE. 161. UCHONGAJI SACCO SOCIETY LTD P.O BOX 92503-80102, MOMBASA. 162. UFANISI SACCO SOCIETY LTD P.O BOX 2973-00200, NAIROBI. 163. UFUNDI SACCO SOCIETY LTD P.O BOX 11705-001400, NAIROBI. 164. UKRISTO NA UFANISI WA ANGLICANA SACCO SOCIETY LTD P.O BOX 872-00605, NAIROBI. 165. UKULIMA SACCO SOCIETY LTD P.O BOX 44071-00100, NAIROBI. 166. UNAITAS SACCO SOCIETY LTD P.O BOX 1145-10200, MURANG’A. 167. UNI-COUNTY SACCO SOCIETY LTD (formerly Tupendane Sacco) P.O BOX 10132-20100, NAKURU. 168. UNISON SACCO SOCIETY LTD (formerly Laikipia Teachers Sacco) P.O BOX 414-10400, NANYUKI. 169. UNITED NATION SACCO SOCIETY LTD P.O BOX 30552-00100, NAIROBI. 170. UNIVERSAL TRADERS SACCO SOCIETY LTD P.O BOX 2119-90100, MACHAKOS. 171. VIHIGA COUNTY FARMERS SACCO SOCIETY LTD P.O BOX 309-50317, CHAVAKALI. 172. VISION AFRICA SACCO SOCIETY LTD P.O BOX 18263-20100, NAKURU. 173. VISION POINT SACCO SOCIETY LTD (formerly Borabu Farmers Sacco) P.O BOX 42-40502, NYANSIONGO. 174. WAKENYA PAMOJA SACCO SOCIETY LTD P.O BOX 829-40200, KISII. 175. WAKULIMA COMMERCIAL SACCO SOCIETY LTD P.O BOX 232-10103, NYERI. 176. WANA-ANGA SACCO SOCIETY LTD P.O BOX 34680-00501, NAIROBI. 177. WANANCHI SACCO SOCIETY LTD P.O BOX 910-10106, OTHAYA. 178. WANANDEGE SACCO SOCIETY LTD P.O BOX 19074-00501, NAIROBI. 179. WARENG TEACHERS SACCO SOCIETY LTD P.O BOX 3466-30100, ELDORET. 180. WASHA SACCO SOCIETY LTD P.O BOX 83256-80100, MOMBASA. 181. WAUMINI SACCO SOCIETY LTD P.O BOX 66121-00800, NAIROBI. 182. WEVARSITY SACCO SOCIETY LTD P.O BOX 873-50100, KAKAMEGA. 183. WINAS SACCO SOCIETY LTD P.O BOX 696-60100, EMBU. 184. YETU SACCO SOCIETY LTD P.O BOX 511-60202, NKUBU. The following categories of preventive controls can be adopted to guard against possibility of fraud occurring in the Sacco. Credit committee- Credit committee not only play an important role in reducing credit risk, but also are an essential element of an operational integrity and fraud prevention strategy. Use of standardized, pre-printed, pre-numbered loan/membership application forms. The society should prepare loan agreements in quadruplicate. 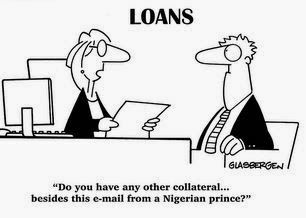 The society should include all vital details in the loan agreements, to reduce manipulation. The society also needs to restrict access to blank loan agreements. The society staff should do a final pre-disbursement vetting and verification of compliance for each loan and in case of anomalies should report to management committee. Additional mandatory checks should be done by the staff before disbursing. The society should elaborately document the disbursement process e.g. by making sure cheque or cash collections are recorded. The society should retain one copy of the disbursement receipt and give the other to the payee. In disbursing funds directly to the borrower, the staff should check for evidence that the person accepting funds is the real borrower. An accountant or someone else should compare payee disbursement request and loan agreement signatures.